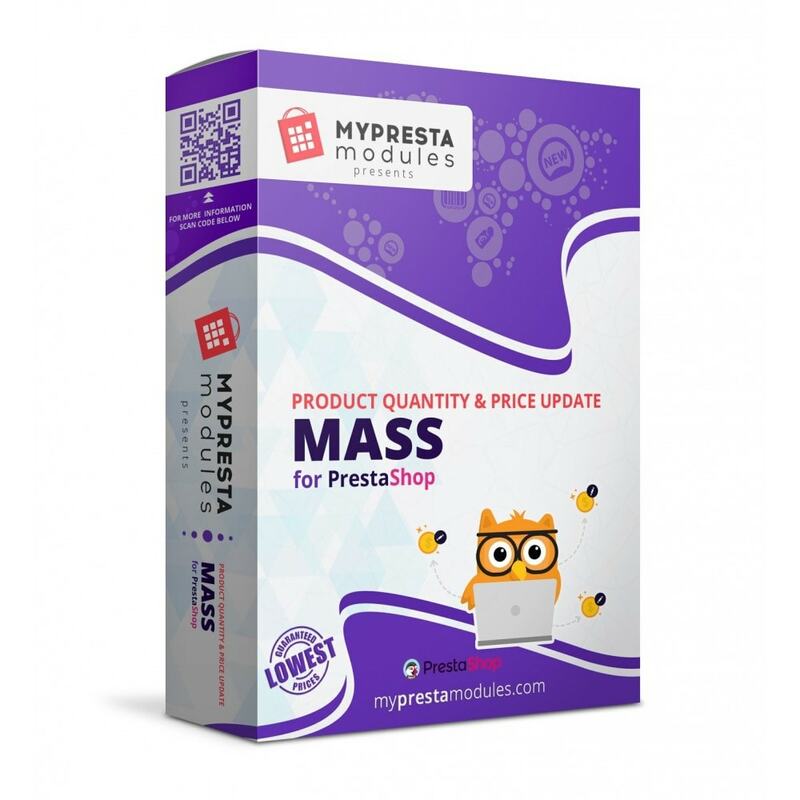 Mass Product Quantity & Price Update is a convenient module especially designed to perform import and export operations with the PrestaShop products and change their mass quantity and price. 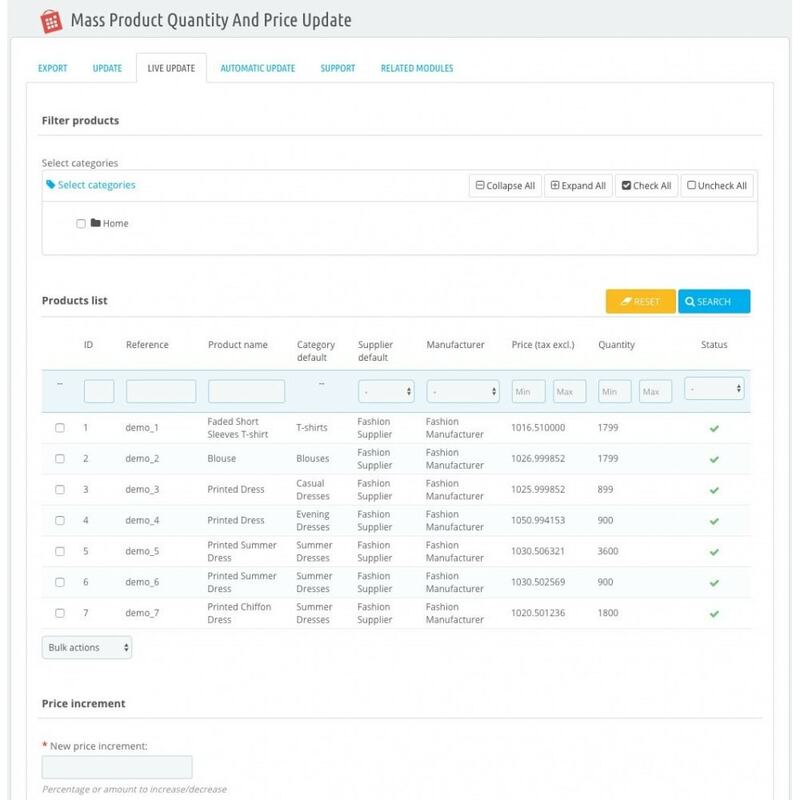 A quick and convenient method of products management is a perfect choice for a modern state of the art on-line store. Having different types and complexity level of sale products, you will always need a one-step activity for correct export implementation. 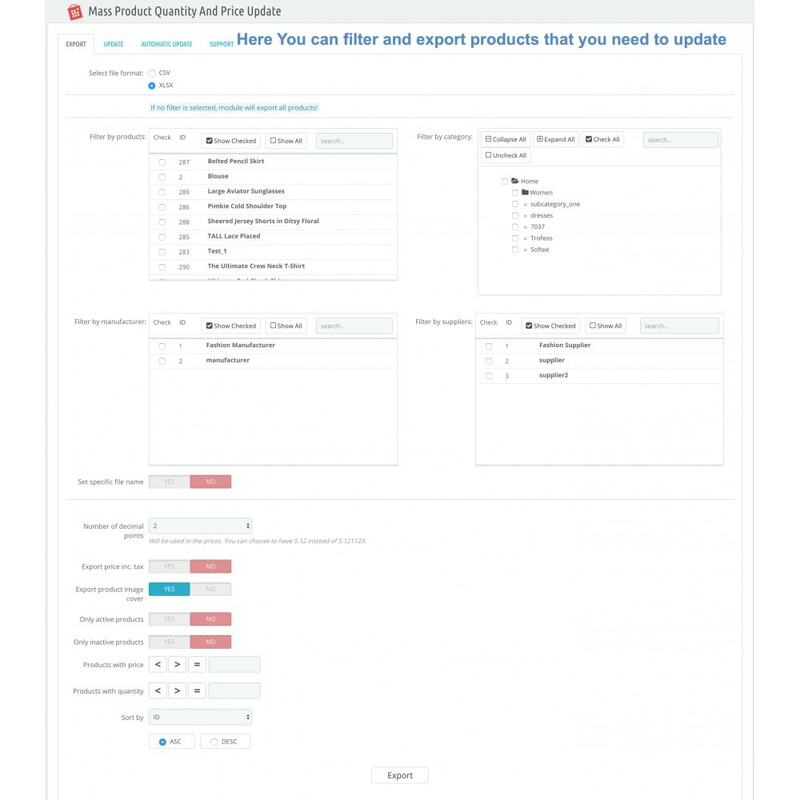 If your product is simple and without any combinations, it will be easy for you to change its availability on-line. Whereas, if your product is complicated and with combinations, in this case there is a possibility for you to set quantity and price value for each combination. 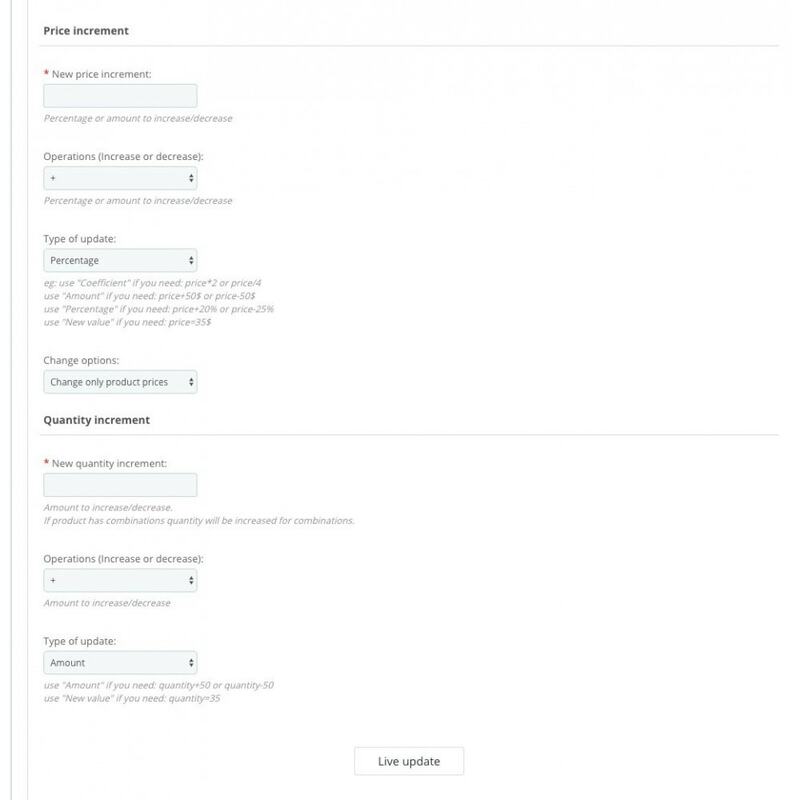 Also you can simply set quantity and price for products without combinations. 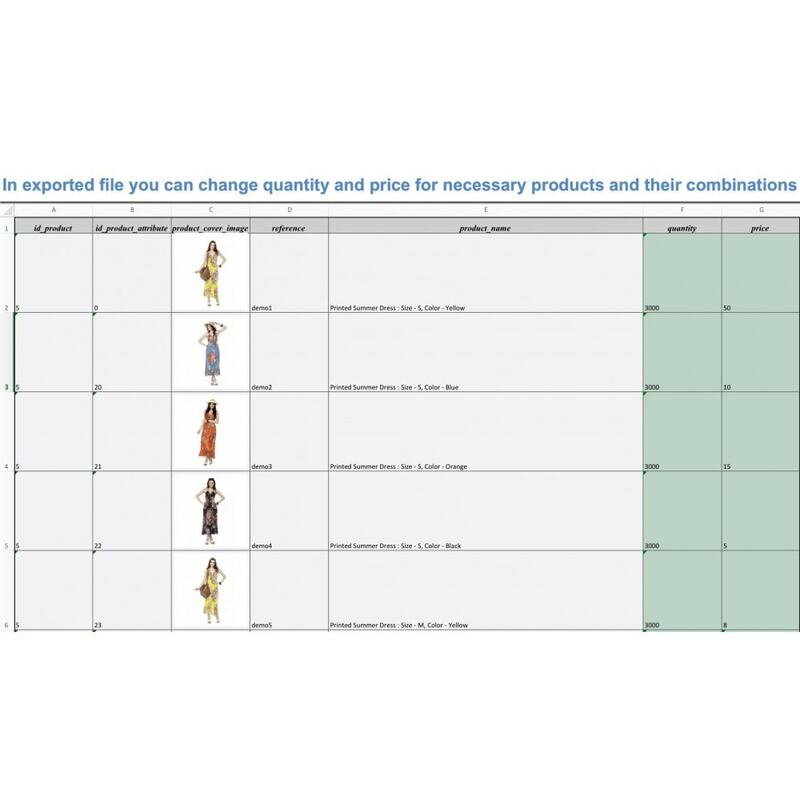 change the quantity and price of your products in the export file, and to import this file back to the on-line store. 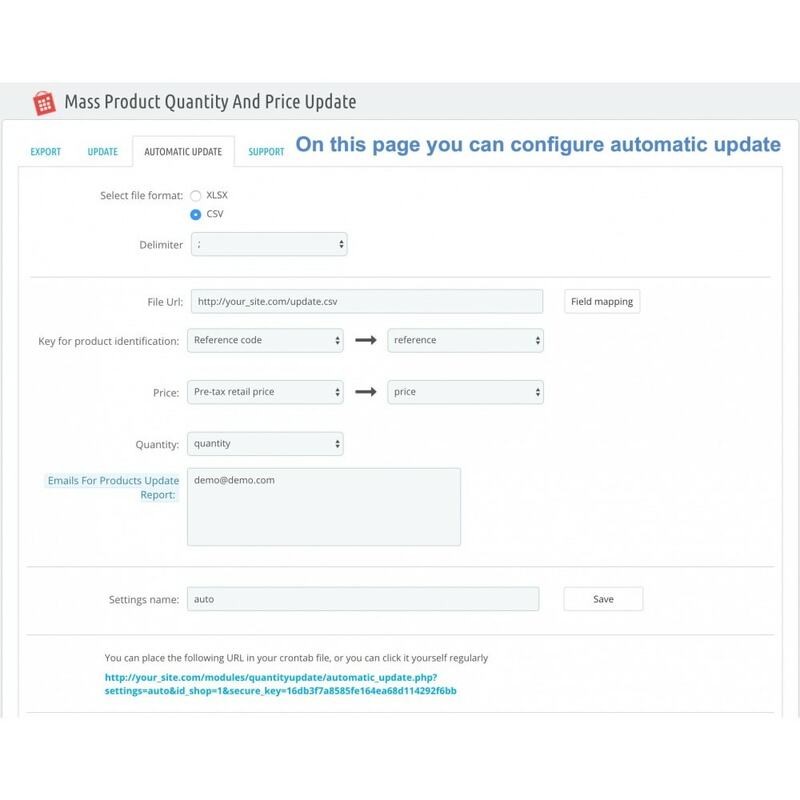 Therefore all your changes will be applied to the products, which means that the quantity and price will change at those products, which have been previously changed in the file. 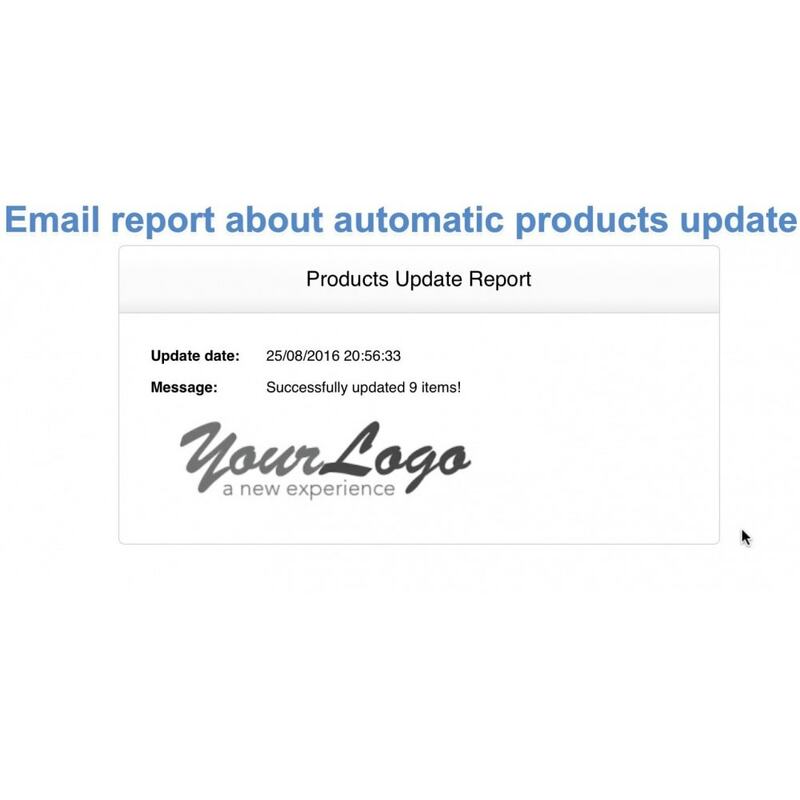 automatic update from any csv and xlsx file. 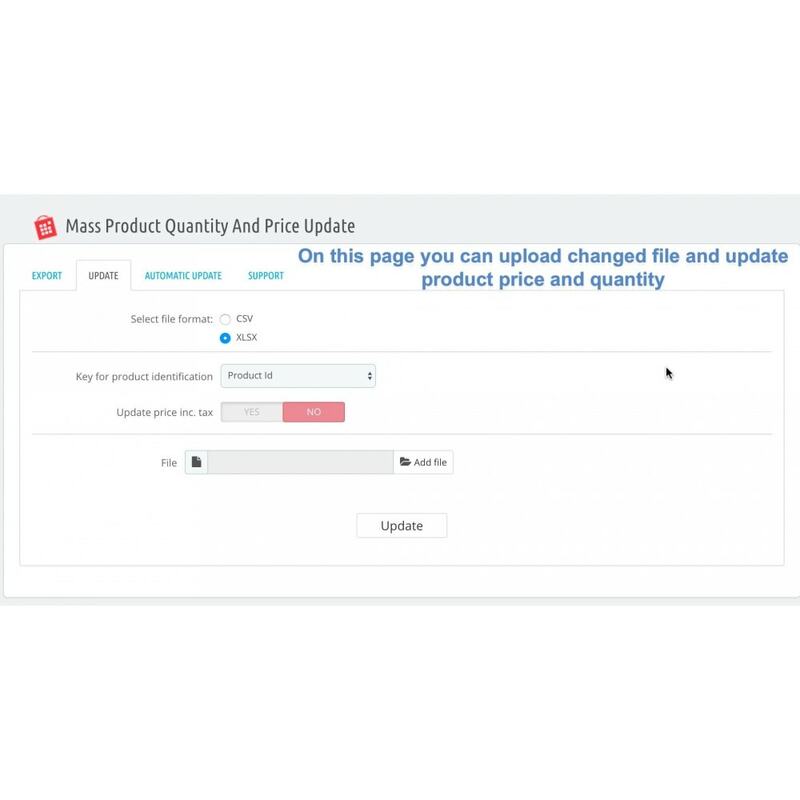 Convenient and easy image uploader in the product.You can add new images or replace the current ones.Possible to add several images to the product.Log file with errors and status ok.